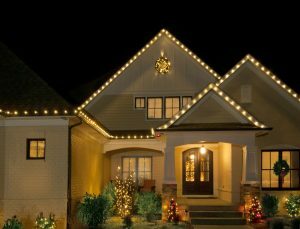 Your Holiday Lights of Northwest NJ specializes in Christmas light installation throughout Northwest New Jersey including design, installation, maintenance, take-down and storage. We are locally owned and operated by your trusted home service providers, Window Genie. Together, you and our team at Your Holiday Lights will bring your vision to life! Our fully trained, insured and bonded field technicians are experienced professionals ready to transform your home Christmas lights for the holiday season. 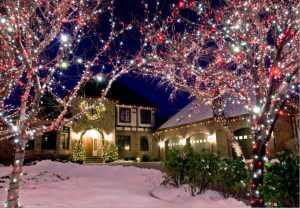 For a free consultation and to discuss your home’s Christmas lights design concept, call 973-726-6555 or CLICK HERE to schedule an estimate. We look forward to brightening your home this holiday season, and for many to come. Why Choose Your Holiday Lights? Hanging holiday decor is difficult, dangerous and time consuming to do yourself. Whether you’re cleaning and preparing the house for guests, spending long hours baking in the kitchen, or doing last minute shopping, the tasks on your holiday to-do list can really start to add up. Why spend your precious free time untangling Christmas lights and risking a fall on a ladder? Avoid the hassle and call your local Your Holiday Lights professional today! Your Holiday Lights designs, supplies, installs, maintains, takes down, and stores your outdoor holiday lights. We use high-quality long-lasting LED lights direct from the manufacturer for all customers, and each strand is custom-cut to fit, with no strands left dangling from roof-lines. Our service comes complete with a hassle-free program that includes a three-year, no worries warranty, and prompt service as needed. Most importantly, having outdoor lights professionally installed greatly reduces the risk of homeowner accidents involving roofs and ladders.